Magnify the use of a red-dot or reflex sight. 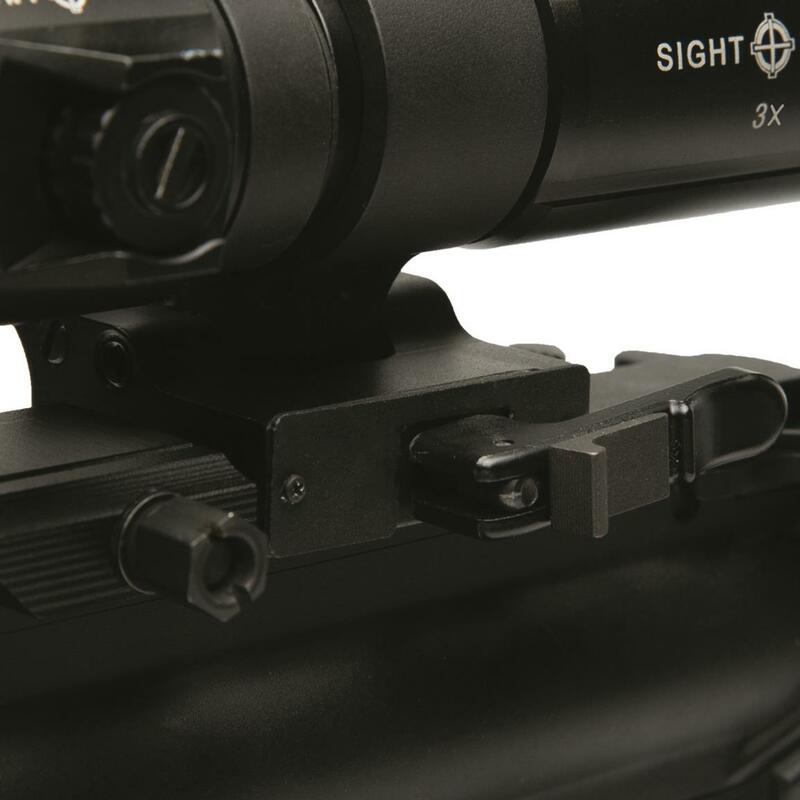 Instantly increase the versatility of your reflex or red dot sight with a Sightmark® Flip-to-Side Magnifier. Designed to visually boost your sight picture without losing the quickness advantage of open sight targeting. 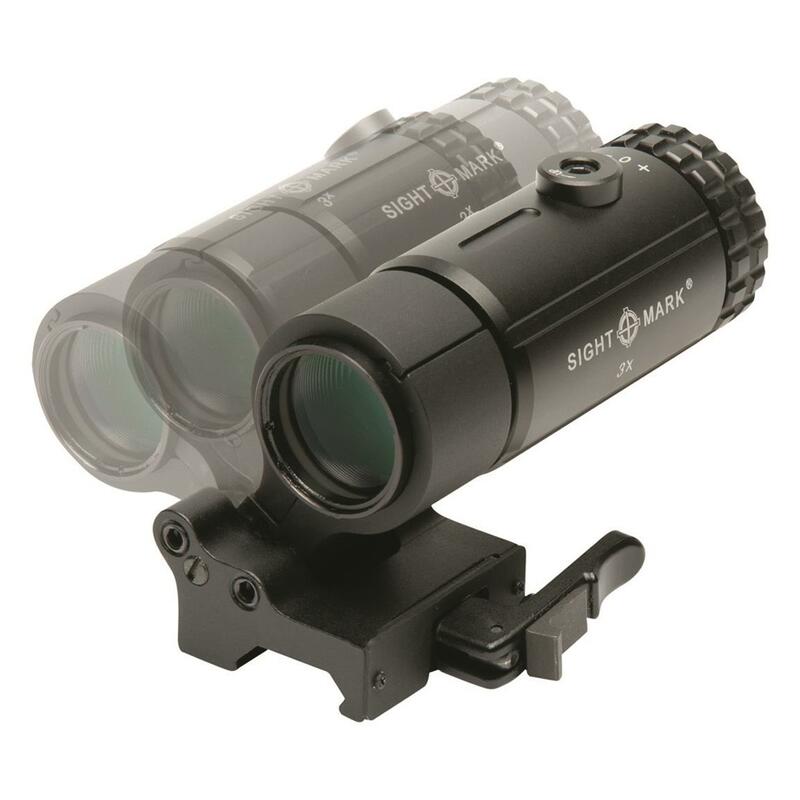 Mount either a 3x or 5x magnifier to a Picatinny rail with a locking quick detach lever and provide an absolute co-witness behind a red-dot or reflex sight. 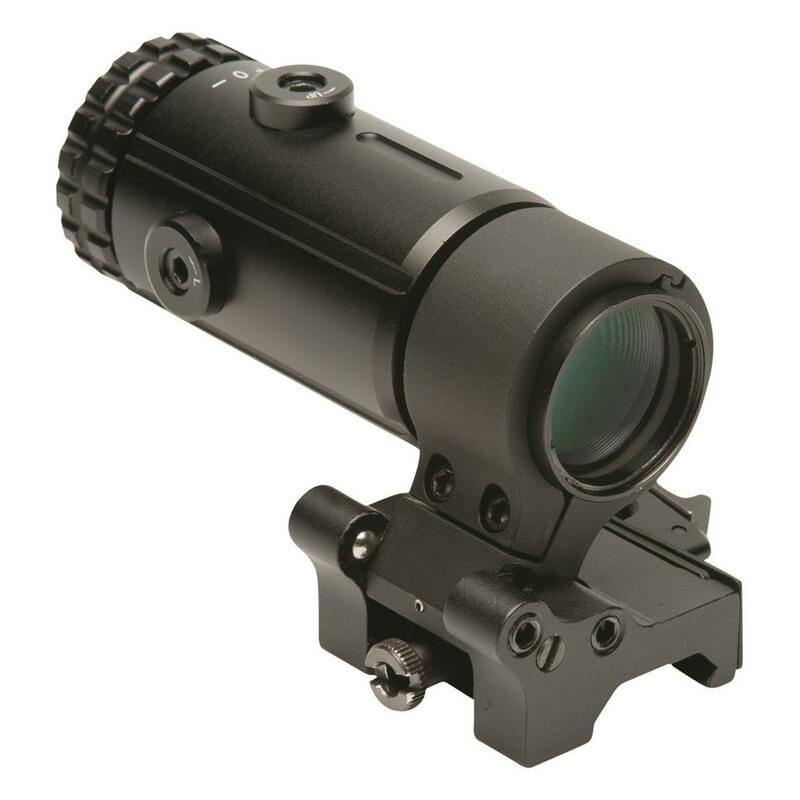 Fully multi-coated lens uses external windage and elevation adjustments to align with the reticle of your mounted sight. 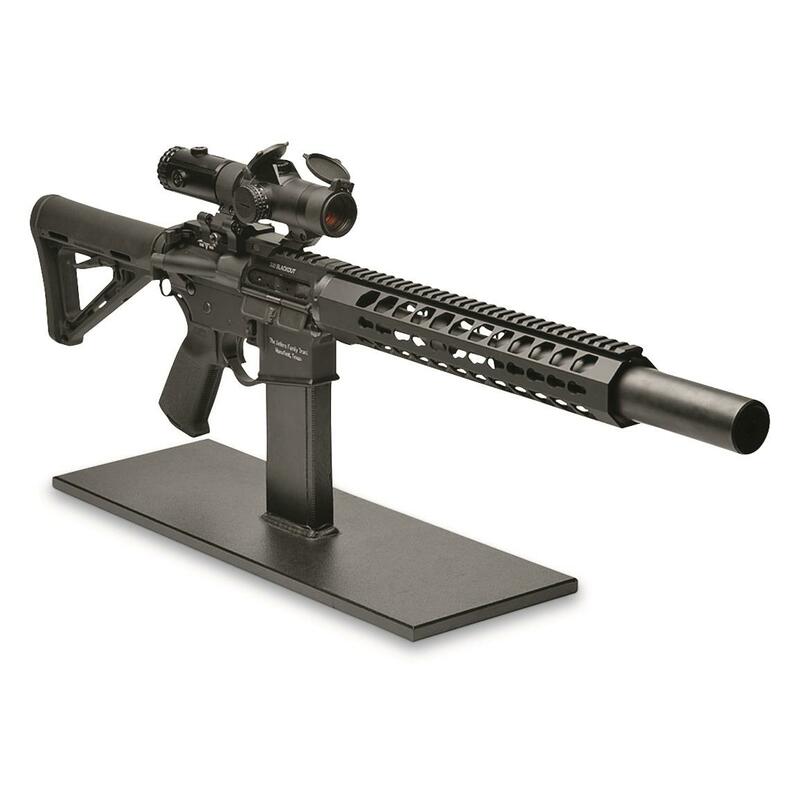 Aluminum construction is IP55 rated water-resistant and shockproof up to .308 caliber rounds. 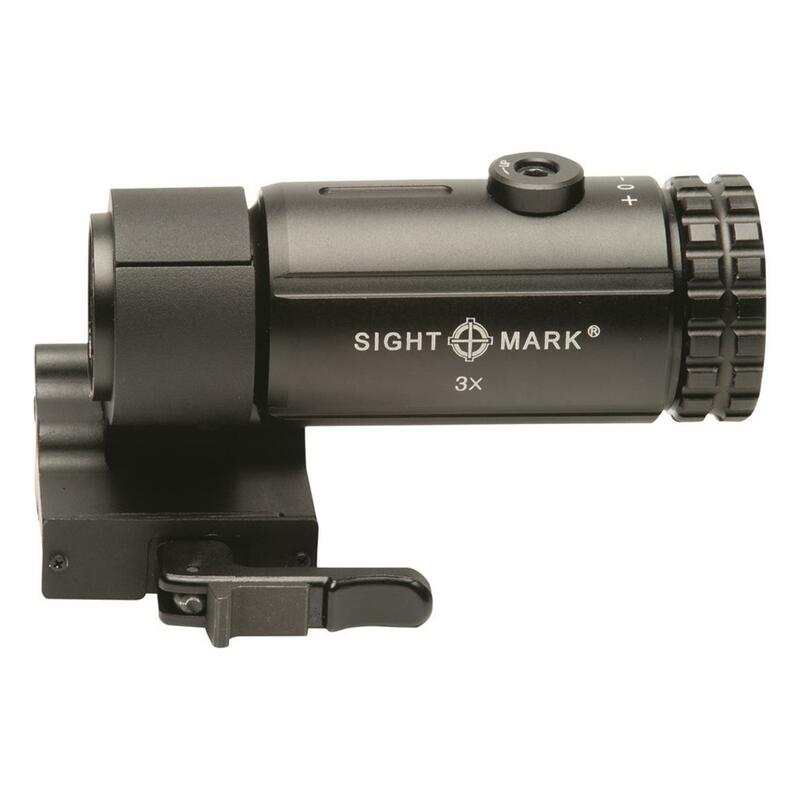 Streamlined design keeps the magnifier from snagging on other equipment and flips easily to the side when not needed. 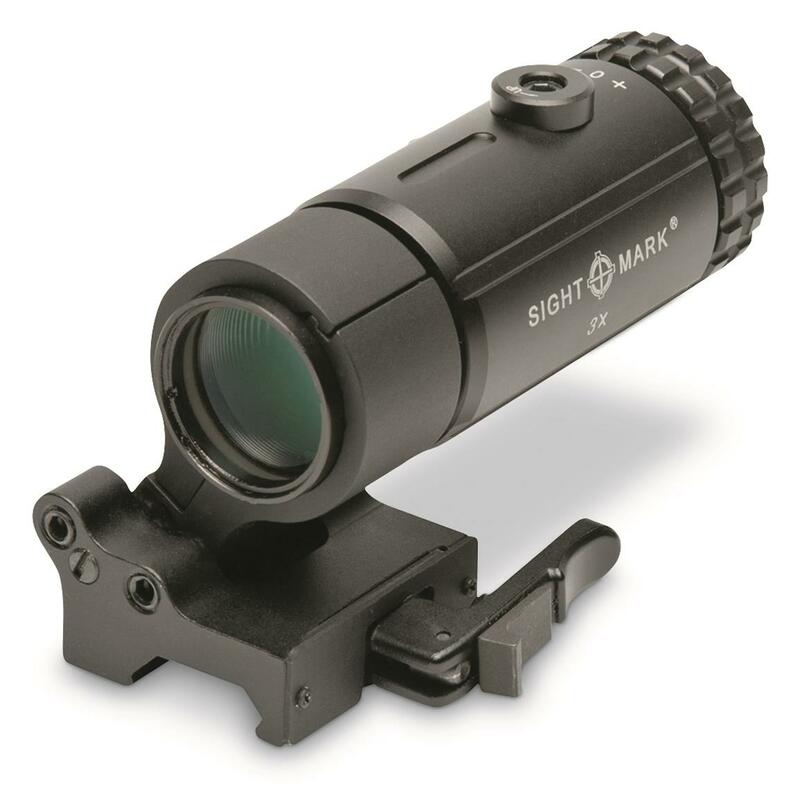 Dimensions: 4" x 2.6" x 1.67" h.
Dimensions: 4.72" x 2.6" x 1.67" h.
Sightmark T-3/T-5 Flip-to-Side Magnifier is rated 5.0 out of 5 by 1. Rated 5 out of 5 by Steve from Works great! This is hard to beat for the money. Had to turn quick release lever to move away from charging handle. Quick fix. Very good value.